The Mayor of San Antonio, Julian Castro, will be debating Dan Patrick on the issue of immigration on Tuesday, 4/15. Really, the good Mayor will be debating the entire Anti-Latino, anti-immigrant Republican Party since Dan Patrick represents the most divisive segment of Texas politics. Frankly, I am of the opinion that this shouldn’t even be called a debate. Dan Patrick has never offered an ounce of fact in any immigration-related comment he has given. Instead, Dan Patrick has portrayed immigrants and Latinos as disease-carrying criminals who are invading Texas, which his base just loves to repeat. 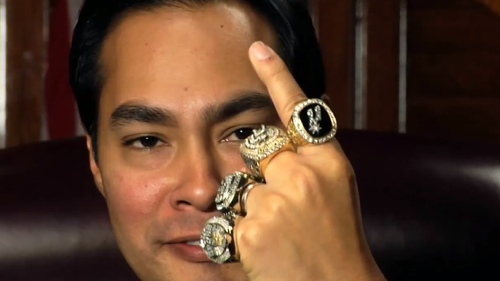 I expect some good facts from Mayor Castro, so, at least his side of the debate will be educative. Mike Thomas with the SA Business Journal provides the details. What began as a challenge over immigration policy posed on Twitter will culminate in a one-hour forum where the two politicians will discuss their views on immigration and border security at the Univision San Antonio studios. The discussion will be moderated by Evan Smith, editor-in-chief of the Texas Tribune, and will be streamed live on Univision41.com and TexasTribune.org beginning at 6 p.m.
I’ll be checking it out, for sure. 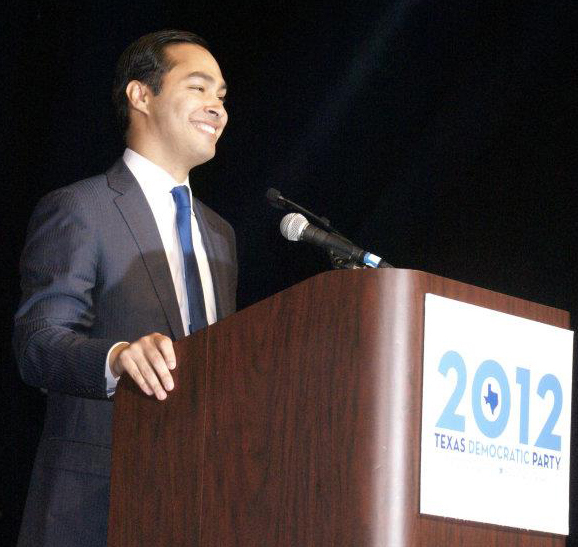 Houston Mayor Annise Parker today received the endorsement of fellow Mayor Julián Castro of San Antonio. Mayor Castro cited major achievements of Mayor Parker’s administration, including the Hire Houston First program, putting more police officers on the street, securing $7 million for after-school programs and cutting millions in waste to fully fund public safety. Posted on December 12, 2012 | Comments Off on You Callin’ Me F’urn? Well, according to SA Mayor Julian Castro, the Republicans sure as heck think of Latinos as something foreign. Well, I’m glad someone with national prominence finally said this. Of course, there are a few Dems that do/have done that, too. And the Democrats have fallen over each other to support right-wing, anti-immigrant Dems here in Texas. I won’t bother rehashing the names, but we all know it’s true. The GOP still has not begun to learn any lessons from their 2012 thrashing at the hands of Latin@s, but they are attempting to write the lesson plan to their own liking. Obviously, Castro reads them like I do. Ultimately, when we begin to hear these type of remarks from people who do not look like Castro, then we will begin to see a lot more stirring from the Latino community. Comments Off on You Callin’ Me F’urn?